The latest addition to Mortal Kombat X’s slowly-growing roster is the dark Netherrealm sorcerer Quan Chi. Just in case you’ve spent the last 24 years in a cave, Quan Chi is the one on the left. Since Mortal Kombat X‘s first announcement earlier in the year NetherRealm Studios have been trying their best to keep the gaming media on their toes with a steady release of new content and information about the game. So far the latest game in the Mortal Kombat franchise has not only seen the arrival of four brand-new characters, but also the return of several fan favorites, including Kano, Raiden, and of course, Sub Zero and Scorpion. Mortal Kombat X’s latest resident, however, is something a bit different: Quan Chi, the infernal sorcerer. Originally a part of the Mortal Kombat animated series, Quan Chi made his very first playable appearance in the series’ first 3D outing Mortal Kombat 4. Since that time, Quan Chi has been one of the more nefarious villains in the series, serving as the crux of either the central plot or one of the core sub-plots of nearly every Mortal Kombat game. NetherRealm Studios have implied that the very same expectations apply this time, with Quan Chi set to take center stage yet again as one of Mortal Kombat X’s major antagonists. 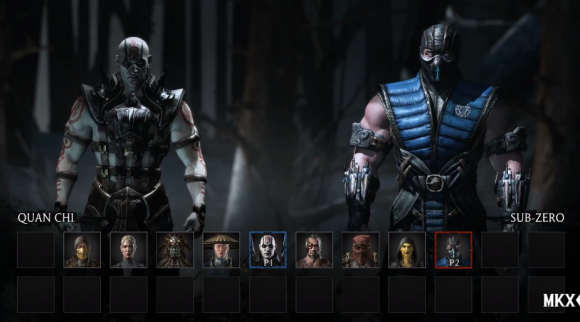 As Mortal Kombat X’s roster continues to grow and details of the game’s story are slowly revealed to the public in build-up to the game’s April 14th 2015 release, speculation on what other characters we might see revealed in the future is almost inevitable. With Quan Chi being a major villain, will Shang Tsung make his return as well? Their relationship in previous games has vacillated between almost friendly to out and out enemies. Or will the cast instead focus on other central characters in Quan Chi’s personal gallery of key opponents, like Kung Lao, or his former assassins Sereena and Ashrah? With the variety of characters already available to choose from in the series and the creativity that Mortal Kombat’s cast is known for, whoever we get is likely to be interesting.